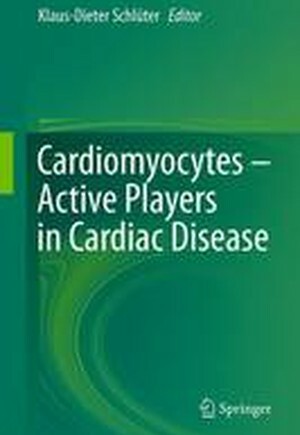 This book summarizes our current understanding about the biology and patho-biology of cardiomyocytes and depicts common techniques for the study of these cells. The book is divided into two parts; the first part provides insight into role and function of cardiomyocytes under normal conditions and describes embryogenesis and differentiation, in the second part the role of cardiomyocytes in aging and disease is discussed and cellular responses under stress conditions illustrated. Cardiomyocytes represent the main mass of the heart, and cellular malfunction directly modifies heart function leading to subsequent heart failure. As such, cardiomyocytes are causative involved in the main reasons of heart failure, such as post-infarct remodeling, hypertensive heart disease, idiopathic heart failure, and interactions with other co-morbidities such as diabetes. On the other hand, cardiomyocytes are necessarily target of therapy. Therefore, a precise understanding of cardiomyocytes biology is a pre-requisite for proper disease treatment and evidence based medicine. The book is written for cell biologists, pharmacologists and biomedical researchers specialized in cardiac and vascular biology. Cardiomyocytes: Function and Regeneration.- 1.Ways to study the biology of cardiomyocytes.- 2.Cardiomyocytes: Function and Regeneration.- 3.Excitation-contraction coupling of cardiomyocytes.- 4.Cardiac metabolism and energetic control.- 5.Endogenous mechanisms for regulating myocardial contractility.- Cardiomyocytes in ageing, disease, and protection.- 6.Growth regulation of cardiomyocytes: Control of cell size and its role in cardiac hypertrophy.- 7.Protein Degradation in Cardiomyocytes - Target Proteins and clinical consequences.- 8.Ischemia and Reperfusion.- 9.Mechanisms of cardiac cell death.- 10.Oxidative stress and nitrosative stress.